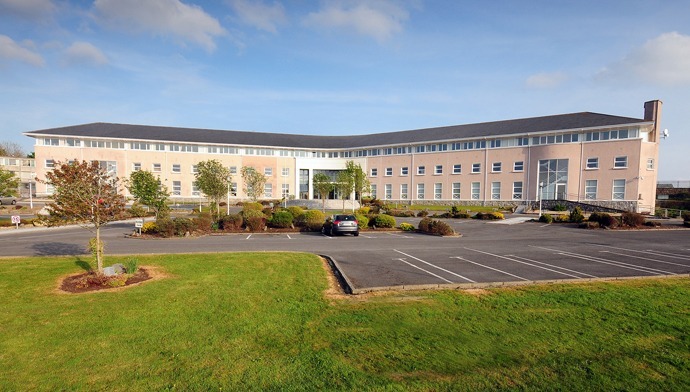 Located on Lakeshore Drive, just south of the old Dublin Road and N6 in Co. Galway, this suburban office development complete with car park totals 42,000 sq.ft. This office complex was designed and constructed by ROHAN, and subsequently sold to the Irish Government. Location: Galway East City Centre, Lakeshore Drive off Renmore Road just south of the Dublin Road and N6. Public Transport: Well serviced by Bus Eireann. Additional Benefits: Superbly located just south of the N6 and located close to the centre of Galway.